Bungalow lot for sale at Meru Raya. Land is elevated with breathtaking views of hills. Peaceful and serene neighbourhood within a bungalow lot enclave. Just 10 minutes to Jusco via PLUS highway,toll free. land area 8600 sf, asking price RM27psf negotiable. Call Gladwin Agilan at 012-5261000 for further details. 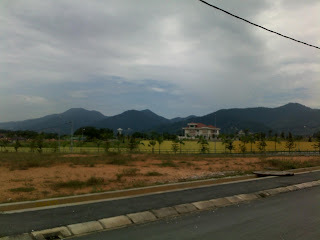 P/S: Please contact me if you own a bungalow lot within this area , I can help you secure a buyer.